The HP 5500 HI Series of Gigabit Ethernet switches delivers outstanding resiliency, security, and multiservice support capabilities at the edge layer of data center, large campus, and metro Ethernet networks. The switches can also be used in the core layer of SMB networks. The HP 5500 HI Switch Series supports a dual power supply and an IRF virtual fabric to provide the highest levels of resiliency and manageability. With complete IPv4/IPv6 and MPLS/VPLS features, the series provides investment protection with an easy transition from IPv4 to IPv6 networks. 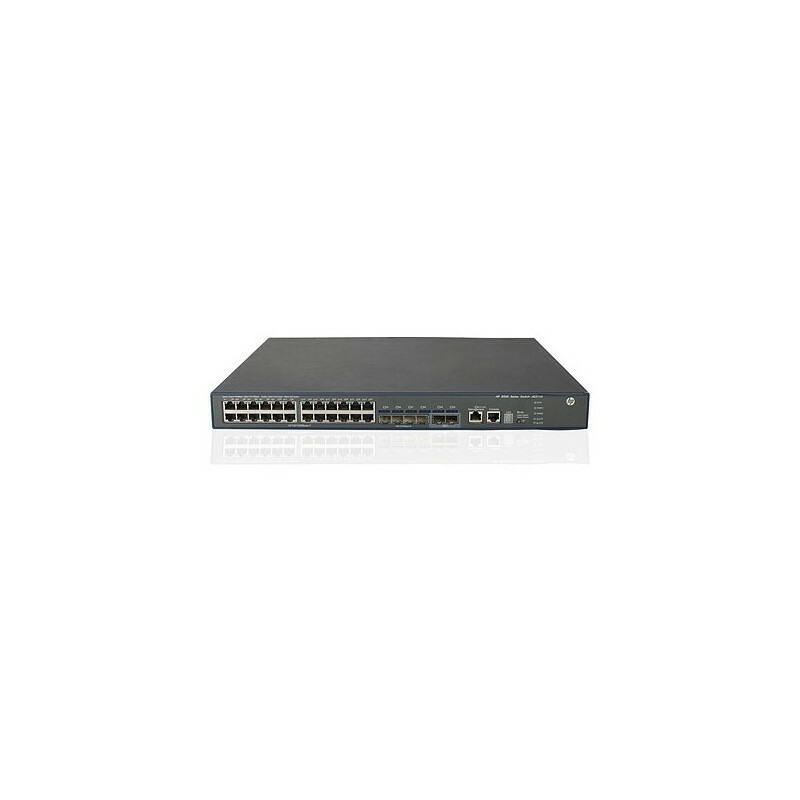 Designed with two fixed 10G ports and extension flexibility, these switches can provide up to six 10-GbE uplink or 70 GbE ports.